Crapware refers to apps that are pre-installed on your phone and cannot be uninstalled. Facebook is the newest member in this category. Bloomberg reported this week that social media giant Facebook, which is in a scandal, has signed an unknown number of agreements with Android phone makers, mobile operators and operating system providers around the world, not only pre-installing Facebook apps on the hardware but also letting apps It becomes difficult to delete, whether you like Facebook's tracking behavior to users, it will always exist on your phone. Bloomberg interviewed a user of the Samsung Galaxy S8 in the United States. After learning about the Samsung device on the online discussion board, he found that the Facebook app pre-installed on the phone could not be deleted. The app can only be "disabled" and he doesn't know what it means. Two years ago, the Galaxy S8 was priced at more than $725 when it was introduced to the US. A Facebook spokesperson told Bloomberg that a disabled permanent app will not continue to collect data or send a message to Facebook, but declined to specify the number of Facebook pre-installed apps for this type of application worldwide. Samsung told Bloomberg that the company pre-installed the Facebook app on "some models" phones and offered a disabled option. If the user is disabled, the app will no longer run. After the release of Bloomberg's report, well-known Facebook technology reporter Jane Manchun Wong said on Twitter that the Facebook app pre-installed on Samsung devices is basically a non-functional shell, it is only an application upgrade on the phone. Act as a placeholder before installing the 'real' Facebook app. Many smartphone users have automatic updates enabled, so this disabled app will one day be reactivated from "zombie status" to a full-featured Facebook app. 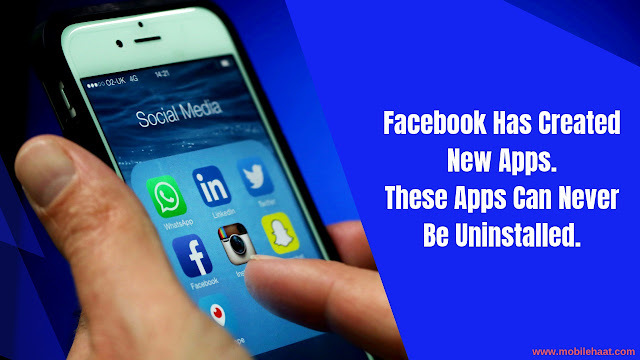 Although you can also think that pre-installing a popular app is helpful to users (but not to Facebook's opponents), permanent pre-installation is undoubtedly unfavorable to users. There is a reason for junk software to get such a name. Why do users always carry unwanted software, placeholders, or other such things after paying for hardware equipment? Facebook isn't the only company that makes immortal apps. Apple has done this before (but starting with iOS 12, users can choose to remove some of the built-in Apple apps), but given the long history of the user's lack of privacy. This is especially bad. Users who don't want to be tracked by themselves may not want any form of a Facebook app. It's unclear how many Android users have found that they can't delete these apps themselves. Another interesting question is how these permanent apps are preloaded with how many users are credited to Facebook and how they are used for advertising targeting. In recent years, Facebook has adjusted its advertising data several times. So Facebook needs to explain whether pre-installed apps that are disabled are properly counted. As of this writing, Facebook declined to discuss other information besides existing statements.